I recently had the intense displeasure of discovering that my camera had broken. For someone whose spare time is spent taking pictures of other people's tattoos, this was a harrowing experience, especially since my BlackBerry's camera is flash-less and takes good pictures under only specific lighting conditions. So what's a poor inkspotter to do? Pass out his card and hope for the best. And despite dozens of cards distributed to many people with cool tattoos, the only one who has really come through for me is Sarah, who I met last Friday on the subway platform at West Fourth Street, as I waited for the D train to Brooklyn. It says "It's not my revolution if I can't dance to it"
The tattoo is my most recent, and it's a paraphrase of a possibly-apocryphal Emma Goldman quotation. It's a line that spoke to me the first time I heard it. I'm a political journalist and a feminist activist, and Goldman's always been someone I looked up to. 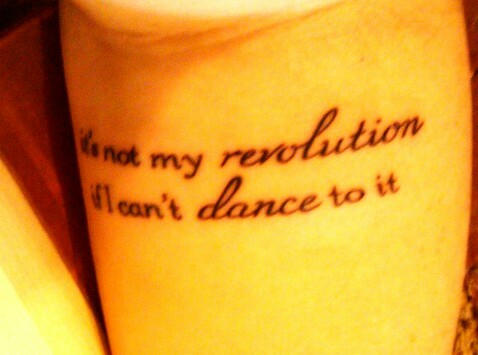 Also, I became a political person through music, and dancing and music have a particular significance for me. As a lover of type tattoos, I had inquired about the font used and Sarah did not disappoint: "the font is Garton and the words revolution and dance are in Miama". 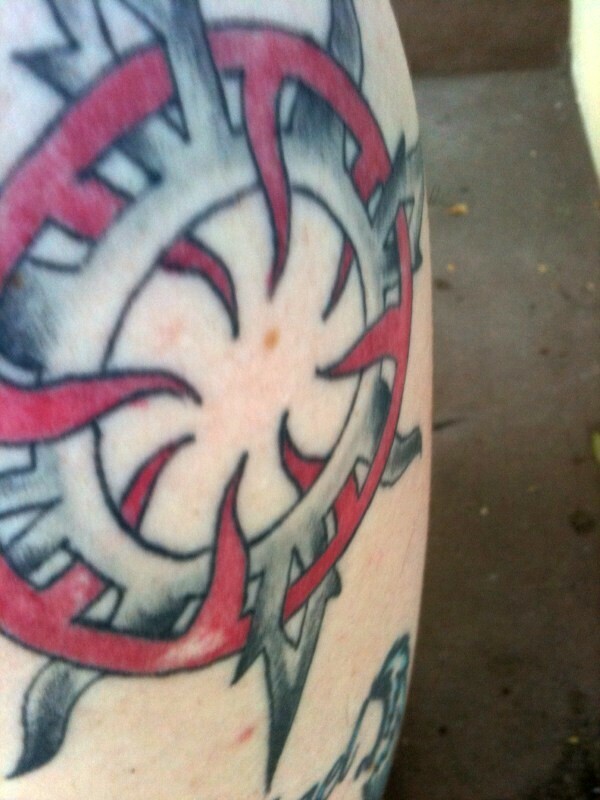 Thanks to Sarah for sharing her tattoo with us here on Tattoosday! Actually, Kerry was waiting on the platform for the uptown A Train when I walked by at 34th Street. This absolutely stunning depiction of the Hindu deity Ganesh took between eight and nine hours to complete. Guy Ursitti at Thicker Than Water is the tattooist responsible for this work of art, the newest (at the time I met her) of Kerry's approximately fifty tattoos. The detail in the tattoo is absolutely incredible. Work from Thicker Than Water has appeared previously on Tattoosday here. Thanks to Kerry for sharing this amazing tattoo with us here on Tattoosday! I ran into Sean at the Foodtown in my neighborhood and when I stopped to talk to him about his tattoos (he has nine), I ended up with photos of several pieces, all of which reside on his left arm. Most of the designs are traditional tattoo subjects, all of which were inked by Eli Quinters at Smith Street Tattoo Parlour in Brooklyn. Work from Smith Street Tattoo has appeared previously on Tattoosday here. Sean explained that this tattoo is for his mother, as this tattoo is based on her "favorite lighthouse," the Fastnet Lighthouse on the most southerly point on the coast of Ireland. This was done for no other reason that Sean has always liked owls. If you love owl tattoos, be sure to head over to this site. 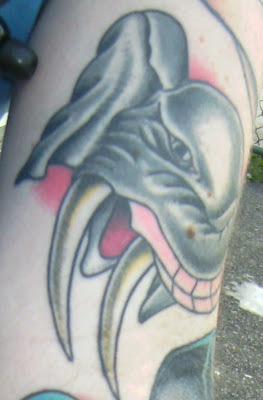 He has this piece because "elephants never forget". This was all Eli's design. Sean gave him free reign and likes the fact that it is unusual in that there are not a lot of colors in it, like one sees in most sugar skull tattoos. For all that have appeared on Tattoosday previously, check this link. He told Eli that he "wanted something spooky" that included the moon. Quinters free-handed this piece, starting with a white Sharpie and then finished with a darker Sharpie before finishing the tattoo. What's neat about all of Sean's tattoos is that they flow nicely together, as readers can see elements of many of the tattoos on the borders of the photos of specific designs. Thanks to Sean for sharing these amazing tattoos by Eli Quinters with us here on Tattoosday! Since I seem to capture more sugar skulls than any other design, why not reserve a day just for these decorative symbols which, at their roots, have deep religious significance? Two weeks ago, I met Ryan, who has ten tattoos. 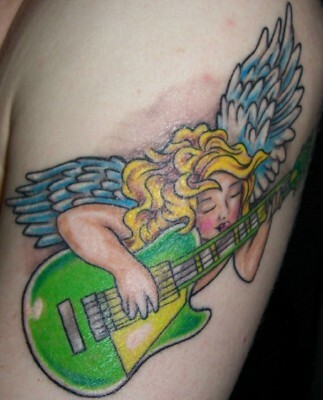 Of that lot, he offered up this design on his left bicep, which Charlie Foos created for him at FlyRite Studios in Brooklyn. 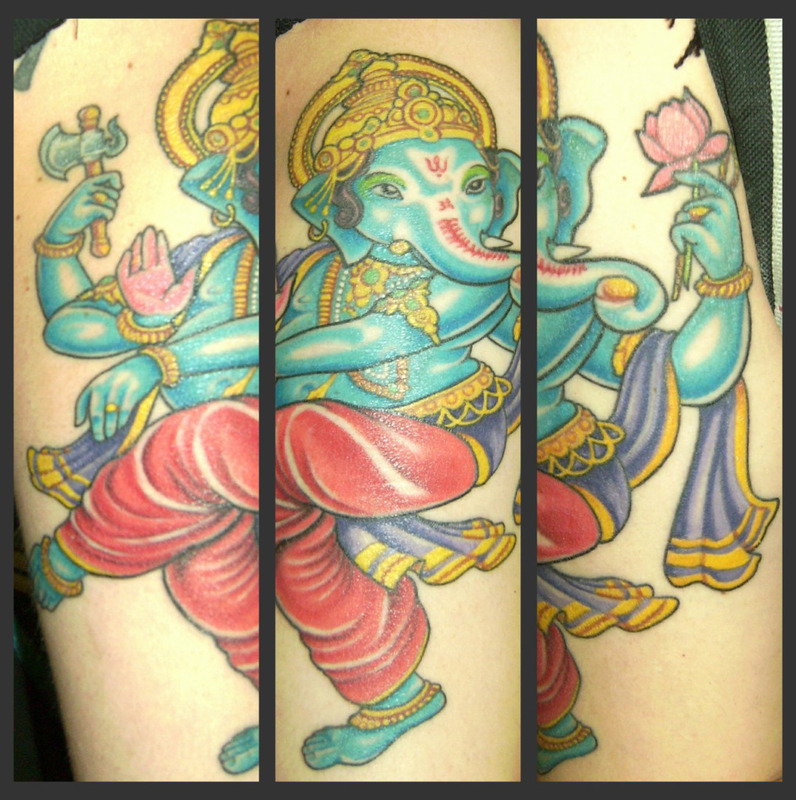 Charlie Foos is now at Read Street Tattoo Parlour in Baltimore. Aside from the traditional nature of the sugar skull tattoo, Ryan also loves Mexico and this design recalls that beautiful and diverse culture south of the border. Thanks to Ryan for sharing this decorative tattoo with us on Tattoosday! 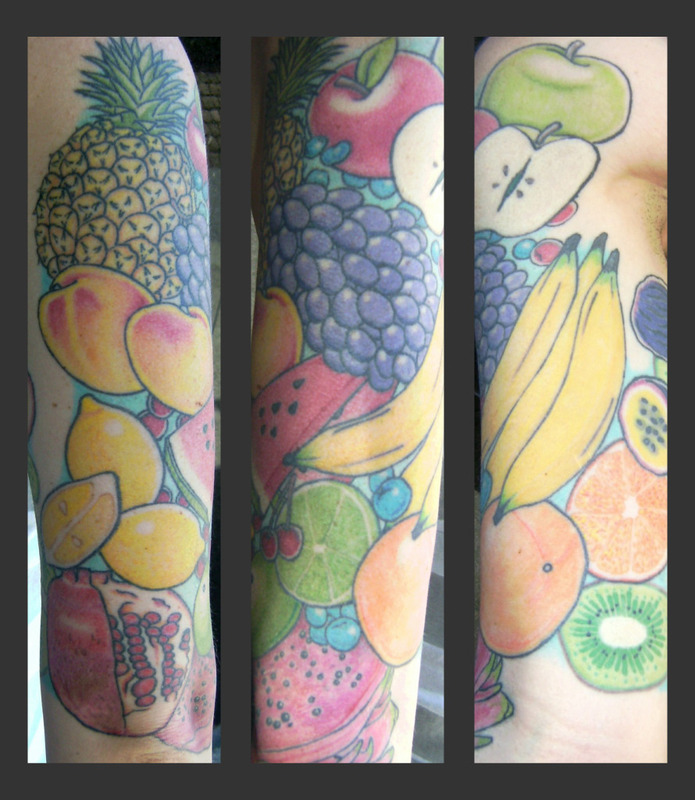 Work from Charlie Foos has appeared previously on Tattoosday here. Tattoosday posts tagged FlyRite Studios are here. Tattoosday posts tagged Reade Street Tattoo Parlour are here. 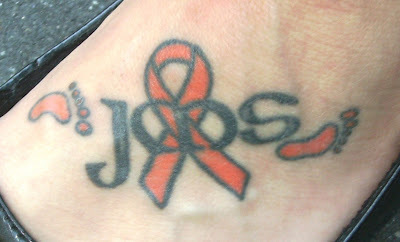 This tribute piece on her left foot is for her cousin, whose initials are JMS. The letters sit astride the ribbon designating awareness for the disease Multiple Sclerosis (MS). The two feet represent the fact that she helps raise awareness in the fight against MS by participating in an MS Walk each year. For more information on MS, visit the National Multiple Sclerosis Society's website here. 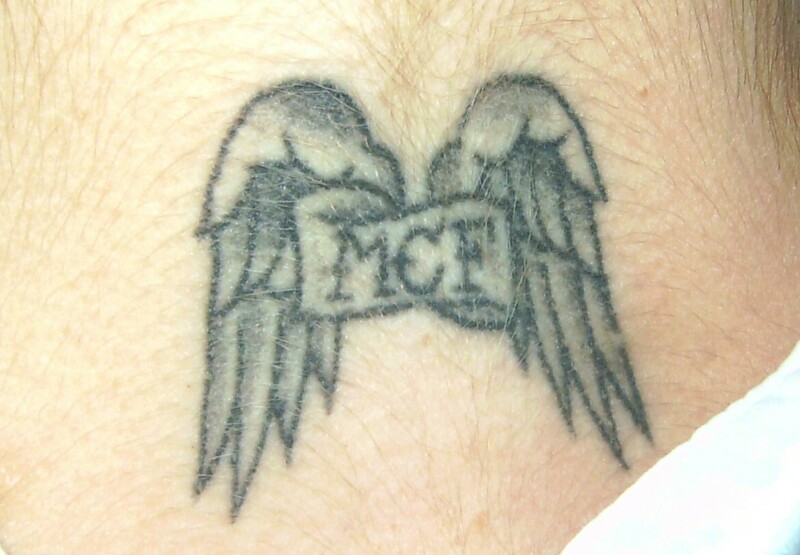 The initials "MCF" refer to her brother Mark, who was killed with a friend a few years back when a train struck them. This memorial piece ensures that her brother is always with her. Katie's tattoos were inked by Spencer at Fat Kat Tattoos in Keyport, New Jersey. Work from Fat Kat has appeared previously on Tattoosday here. Thanks to Katie for sharing two of her four tattoos with us here on Tattoosday! Leyna was leaving the Borders at 2 Penn Plaza when I spotted one of her tattoos and asked about it. 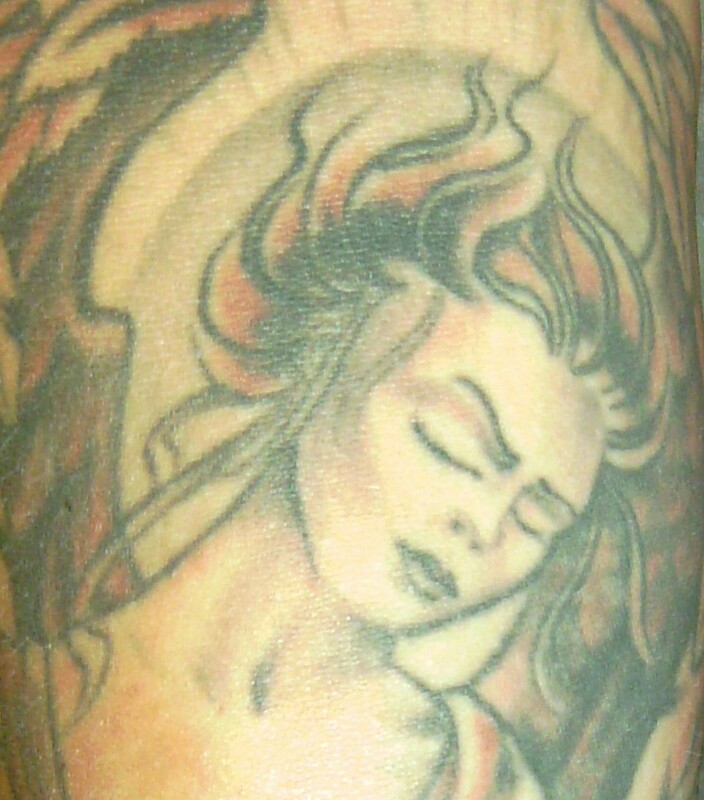 It is located on the back of her left leg, on the calf. 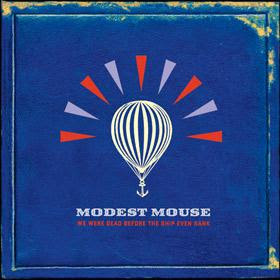 The design was inspired by the cover art from the Modest Mouse record We Were Dead Before the Ship Even Sank. Leyna thought the anchor was cool, and she feels it is a good representation of herself in her 20's. 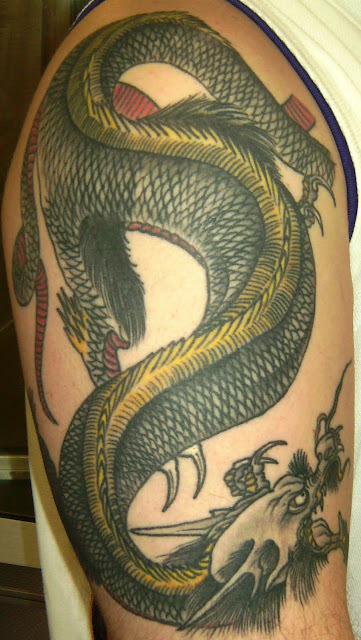 The tattoo was inked by Derik Snell at Hand of Glory Tattoo in Brooklyn. He liked the design because he had never tattooed a hot air balloon before. 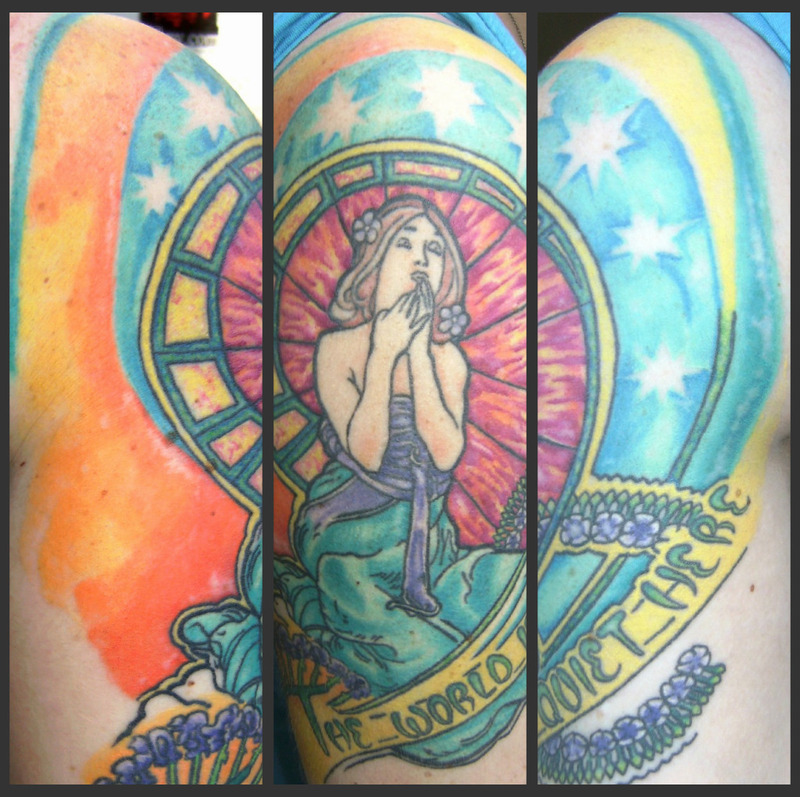 Work from Hand of Glory has appeared previously on Tattoosday here. This two-word snippet, "ecstatic and insatiate" is an excerpt from Allen Ginsberg's Howl . I'd speak more about it, but it appeared first on the most awesome blog, Contrariwise. I'd direct you over here to read what Leyna had to say about this tattoo, and encourage you to linger about and check out the seemingly endless array of literary ink. Thanks again to Leyna for sharing her tattoos with us here on Tattoosday! Earlier this month, I posted about Chris's tattoos (here) and how they represented his battle with addiction. 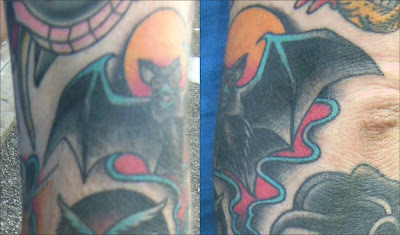 This past weekend, Chris sent me a follow-up, showing me a new tattoo he had just had inked. It's certainly worth sharing here, as it is not only impressive work, but it continues addressing his struggle with addiction. "Just yesterday [June 18, 2010] Ii had an absolutely incredible piece done on my left shoulder. I work at The Painted Bird Tattoo and the newly-opened Boston Tattoo Company (same owners) ... To help celebrate the grand opening weekend of the Boston Tattoo Company, we were fortunate enough to bring in a very talented artist (not to mention one of the nicest most genuine people I've ever met), named Christian Perez. I was able to get an appointment with him and he channeled exactly what I wanted into my skin. I talked to him prior to his visit and told him that it seemed like every tattoo I thought about getting lately was all dark imagery which I attribute to the disease of addiction which still lives inside me. I wanted to bring all the evil, sickness, and wickedness of my past life to the surface, give it form so I can "see" my demon, if you will. This was the result ... you should think about making trip to Boston sometime. Lots of great artists and great work around here. Also, as of July, Christian will be tattooing out of Hope Gallery in New Haven, CT."
Thanks to Chris for following up with us and sending in this photo of his new tattoo. Former contributors are always welcome to submit their new work for us all to see and enjoy here on Tattoosday. I spotted Anthony on the N train in Brooklyn and was happy to see him also switching for the local R train at 59th Street. As luck would have it, both of us were headed home to Bay Ridge. It was inked by Joe at Brooklyn Ink. He estimated that the work so far has been completed in about three two-hour sessions. 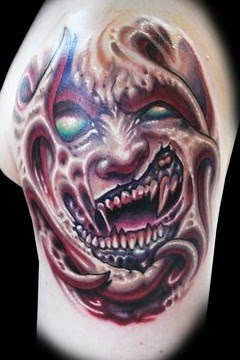 Work from Joe and other artists at Brooklyn Ink has previously appeared quite frequently on Tattoosday (all posts tagged as such here). 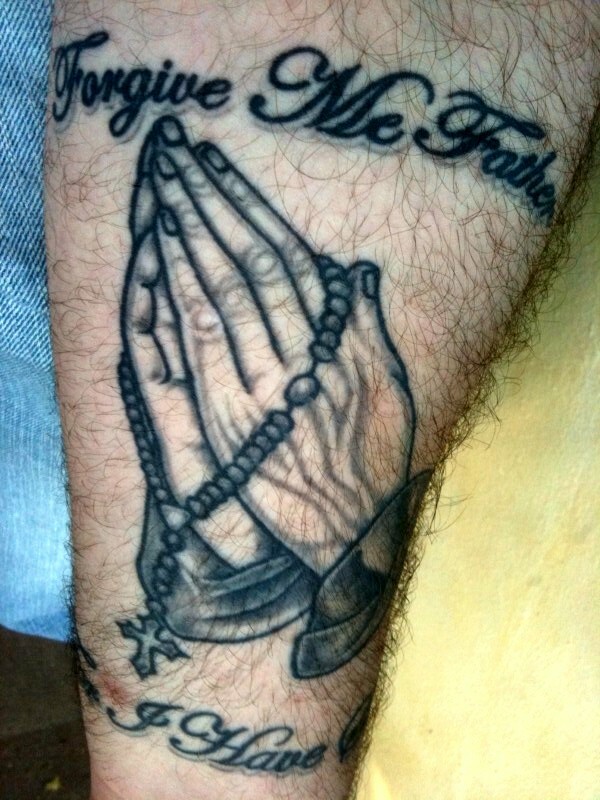 The praying hands holding the rosary, I recall him telling me, were tattooed at Distinction Ink in Brooklyn. The tattoo reads "Forgive me Father, for I have sinned". He did not tell me where he had this tribal sun done, but it's definitely an attention-grabbing piece and certainly worth a mention. 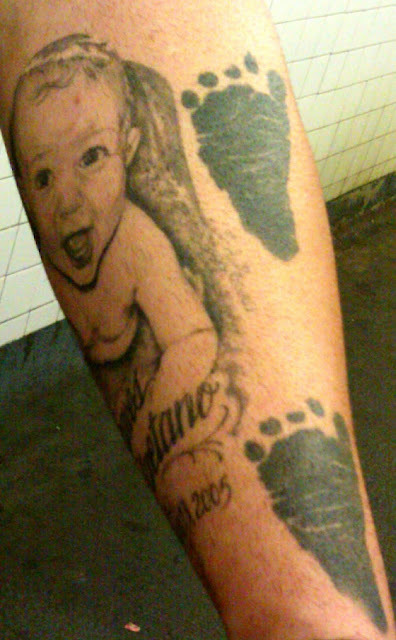 Thanks to Anthony for sharing his tattoos with us here on Tattoosday! On a day that found me unsuccessful with inkspotting the 5th Avenue Festival in Bay Ridge, Fate walked me past Jenn, sitting outside a laundromat a block away from my home. These stunning colors encircled her biceps. She said this piece, inked by Jared Stomber at Kustom Kulture Ink in Baldwin, New York, is an "ode to 1970's fashion". This is one area of interest to her that moves her artistically and she wanted to express it through body art. 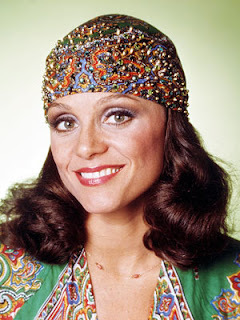 Fictional character Rhoda Morgenstern (from The Mary Tyler Moore Show and spin off Rhoda) was among the cultural icons that inspired the design. 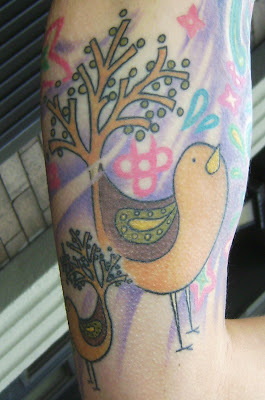 The inner part of Jenn's arm also features artwork that recalls the animated birds from the opening sequence of The Partridge Family. Although her birds are much more elaborate. Thanks to Jenn for sharing this amazing tattoo with us here on Tattoosday! I met Lisa recently on the subway platform at West 4th Street. The tattoo, which took four hours to complete, is Lisa's guardian angel. Lisa told me that this is a representation of her guardian angel, a "spiritual guide," although she emphasized that she's not religious. Work from Saved has appeared previously on Tattoosday here. This, however, is the first work we've seen by Scott Campbell in our travels. 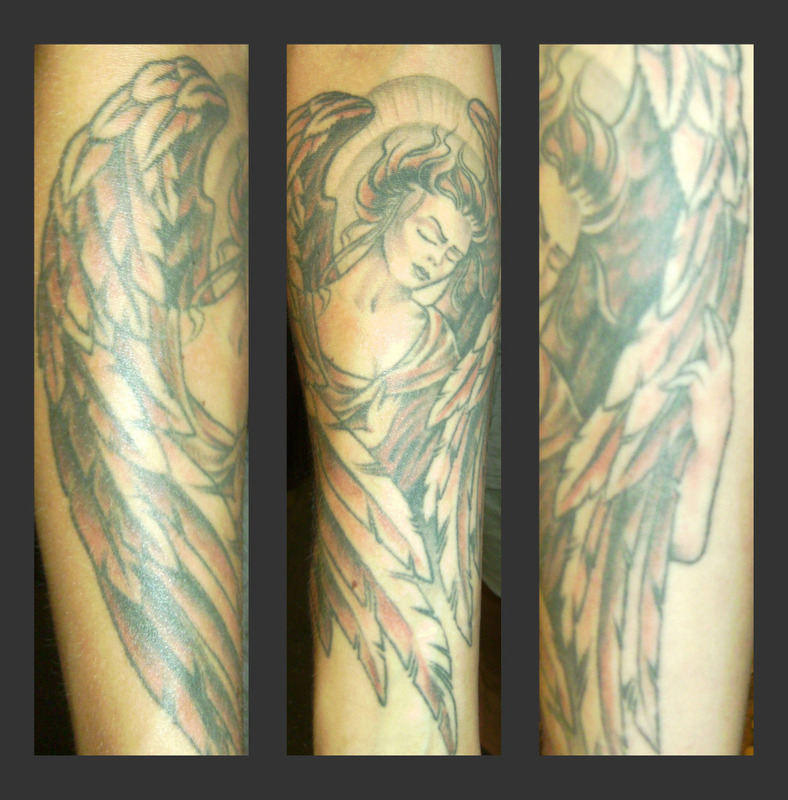 Thanks to Lisa for sharing her angelic tattoo with us here on Tattoosday! "I took this pic in the 1 train, 23rd Street downtown subway station. The guy was *lovely* and looked like a big construction worker. His name is James, and so is his son's, pictured." I figured this would be a nice father's day bonus. This tattoo, on the upper left side of Katie's back, is more of a family tribute, than just a father's honor, but her dad did have a hand in the design. The three hearts were drawn by Katie's mother, father, and brother. As she sees it, she is always carrying their hearts with her at all times. It's a nice tribute to her family. This is one of three tattoos that Katie has. The font used is designed to look similar to cummings' typewriter-style of print. The artist was Cash at Addicted to Ink in White Plains, New York. Work from Addicted to Ink has appeared previously on Tattoosday here. 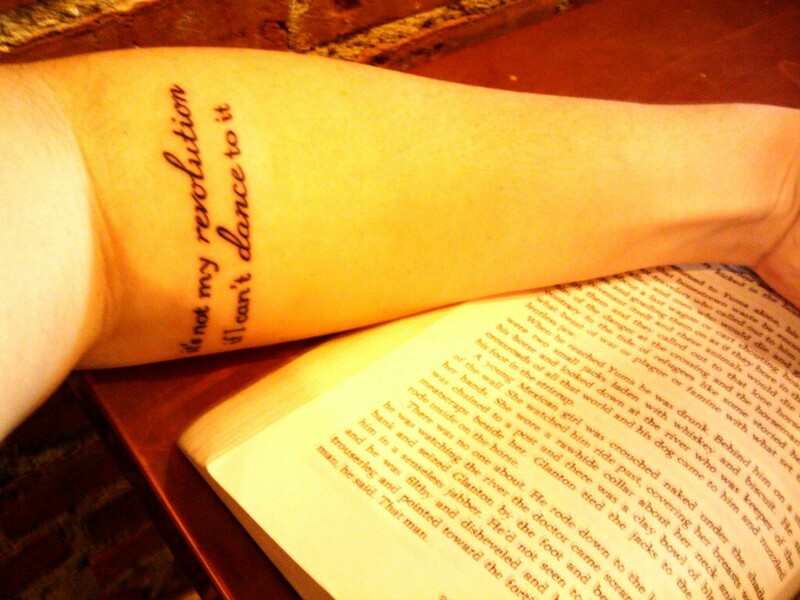 Thanks to Katie for sharing her tattoo with us here on Tattoosday! 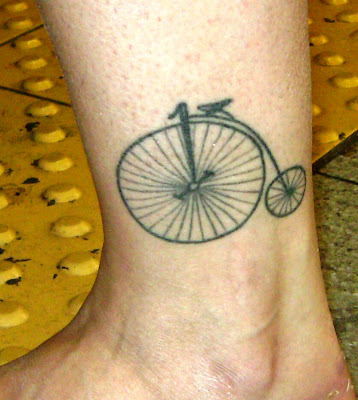 Of course, I asked her about this piece on her left ankle, since it isn't too often you see old-fashioned bicycle tattoos on people. Belinda explained tha a while back she had gone on a pilgrimmage to Spain, which included a 100-mile trek on bicycles. This design is of the "high wheel bicycle" that was introduced in the late 19th century and is more commonly referred to as the penny-farthing. She told me that this was a much more efficient bicycle than had been seen before. The larger wheel allowed it to travel better, although the falls from a much greater height were a problem. 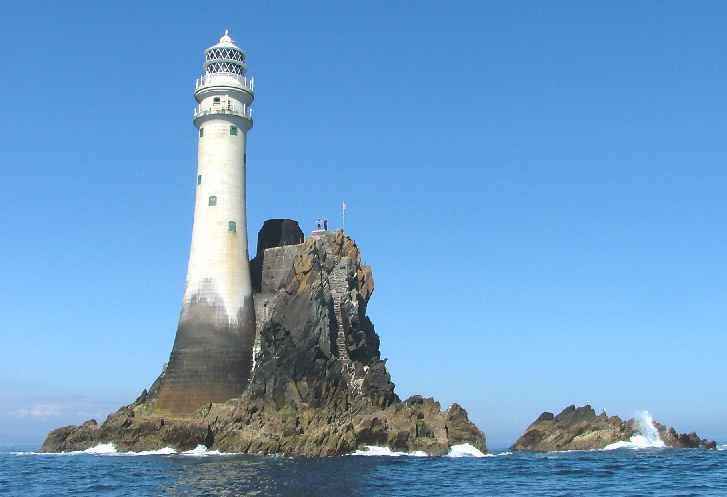 "The purpose of the pilgrimage was not religious but more a curiosity to see this path (the Way of St. James) that people have been taking for hundreds and hundreds of years just because of faith. I felt it was a great way to see the real "Spain" by riding through the small villages and woods...we ended in Santiago de Compostela..."
This tattoo was inked by one of the artists at NY Adorned. Work from Adorned has appeared previously on Tattoosday here. Thanks again to Belinda for sharing this cool tattoo with us here on Tattoosday! A small post about a sugar skull for a Friday. I met Sebastian on 33rd Street between Sixth and Seventh Avenues last week. Byron now tattoos out of Abstract Black NYC. Work from Byron has appeared previously on Tattoosday here. 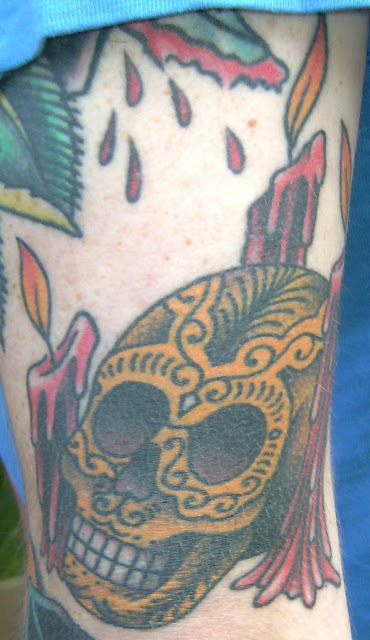 Loyal readers will know how I seldom tire of sugar skull tattoos and, whenever I post one, I like to link the tag (click here) that unites all previous Tattoosday sugar skulls appearing on the blog. Like snowflakes, sugar skull tattoos are never identical. Sebastian appreciates his sugar skull mostly for the way it represents both life and death. 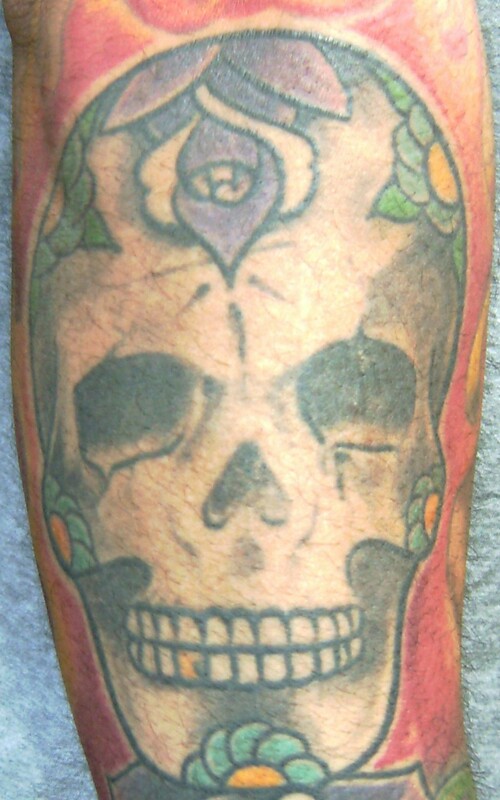 Thanks to Sebastian for sharing his sugar skull with us here on Tattoosday! Hannah explained that this tattoo is romantic at its core. Married couples often have pet names for one another, or nicknames, at the very least. Hannah and her husband Kevin are no exception to this rule. They refer to one another as birds, extending the metaphor to calling their apartment their "nest" and their car as the "moveable nest". So Hannah wanted a bird tattoo, with the plan for Kevin to get an owl tattoo to give them an avian set. 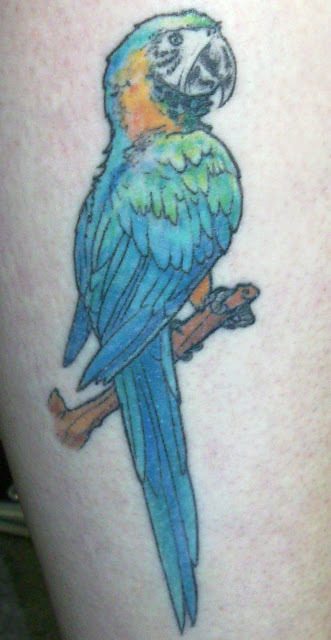 She took a photo of a blue and gold macaw with her to the artist Nalla Smith at Inkstop NYC on the Lower East Side of Manhattan. This lovely parrot tattoo was the end result. Work from Inkstop NYC has appeared previously on Tattoosday here. Kevin's owl is on hold while he finishes a Capricorn sea goat tattoo in progress on his right arm. Thanks to Hannah (and Kevin) for talking tattoo with us here at Tattoosday and sharing their work. We're looking forward to sharing Kevin's finished tattoo in the future! At 31st Street and 7th Avenue, I stopped Kat to ask about her ink. She was happy to see me and had been wondering, having previously read Tattoosday and knowing she worked in the same area as I did, if our paths would ever cross. The art is based on the work of Alphonse Mucha, who has inspired a couple of other tattoos appearing previously on Tattoosday here and here. If that second link looks familiar, it is because both Kat's tattoo and Delissa's are inspired by the same work, "Monaco". Kat's tattoo is interpreted a little differently, translated with brighter colors, which, in Kat's words, were "amped up to be on my arm". The plan is eventually for this tattoo to expand to be a half-sleeve. 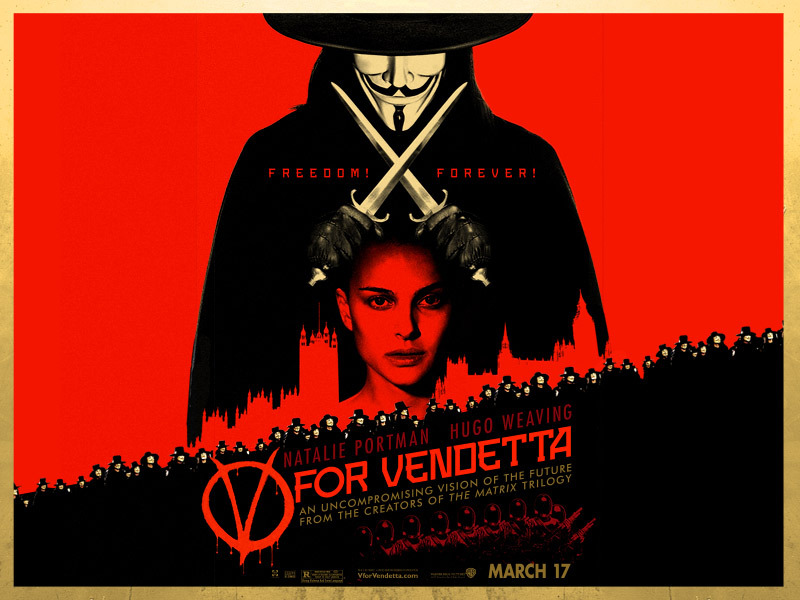 The phrase "the world is quiet here" is a nod to a motto for a secret organization known as V.F.D. in A Series of Unfortunate Events by Lemony Snicket. 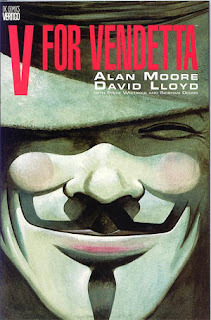 These books are favorites among Kat's list of much-loved titles. 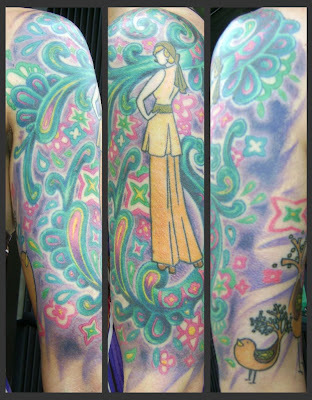 Her work was created by the artist Joy Rumore at Twelve 28 Tattoo in Brooklyn. Kind thanks to Kat for sharing her work with us here on Tattoosday! Inkspotting can be impulsive, but I also like to approach each volunteer after some consideration. 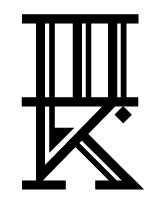 Rather than rush up on someone and barrage them with questions, I like to make sure the tattoo(s) in question are not only interesting to me, but will be interesting to others. It wasn't initially clear what her tattoo said and I was struck by its uniqueness. 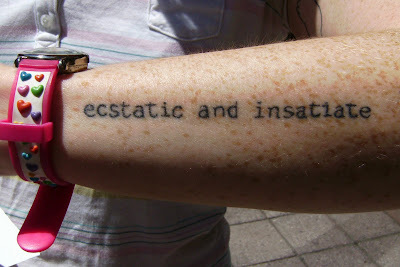 A huge fan of word and type tattoos, I couldn't recall ever seeing anything quite like it. So my curiosity got the best of me and I introduced myself to Julie. 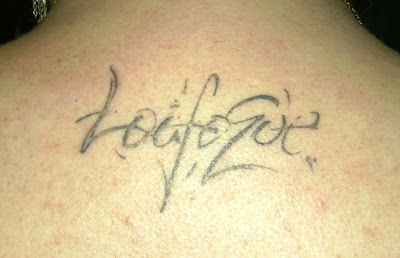 The tattoo "Loufoque," which is a slang term in butcher jargon for "crazy person". Julie explained that she apprenticed with a butcher shop for six months and it was a word she often heard tossed about by the staff, occasionally used when referring to a customer who might be difficult or, let's say, insane. The term Loufuque derived from 19th Century butcher slang and it became part of the vernacular. Julie thought that this tattoo would be a great way to commemorate her experience. "I recall Julie requesting the letters themselves to express lunacy. The final design in the photo is my own interpretation of what she had asked for and I think my intention here was to make the phrase look chaotic and disorderly, yet somewhat maintaining it's legibility. It's what I was able to put together by trying to depict what she might have been imagining in her head at the time." Was this coincidence? Or were we talking about the same person? Scrolling back in the article, I discovered that the Powell here and the Julie that I met in Penn Station were one and the same person. The same person who crafted The Julie/Julia Project, in which the author blogged her way through Julia Child's Mastering the Art of French Cooking, which became a book, which in turn became the film Julie and Julia. All of this Julie never once mentioned. Then again, I never asked. And it is all about the tattoo, after all. That being said, thanks to Ryoko for sharing her thoughts about creating this tattoo, and a hearty thanks to Julie Powell for sharing this interesting tattoo. I'm glad my curiosity got the better of me! 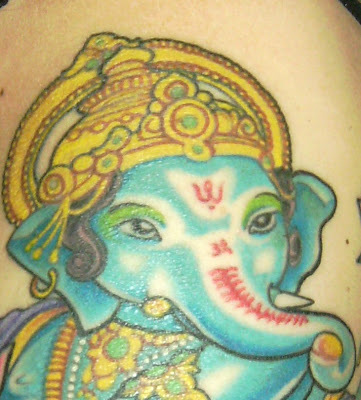 With inkspotting, timing is an essential part of the luck in finding interesting tattoos. I was about to leave the James Farley Post Office when Melanie called me on my cell. During the several minutes that we spoke, a woman named Anna walked up next to me and started preparing an envelope for mailing. Had Melanie not called, I would have been out on the street, completely missing her. Anna has a remarkable tattoo that travels up her arm, over her shoulder, onto her back, and down her side. Representing a species of kelp, the tattoo which honors her father, a marine biologist, was both too large and partially covered, for her to share with us here at Tattoosday. 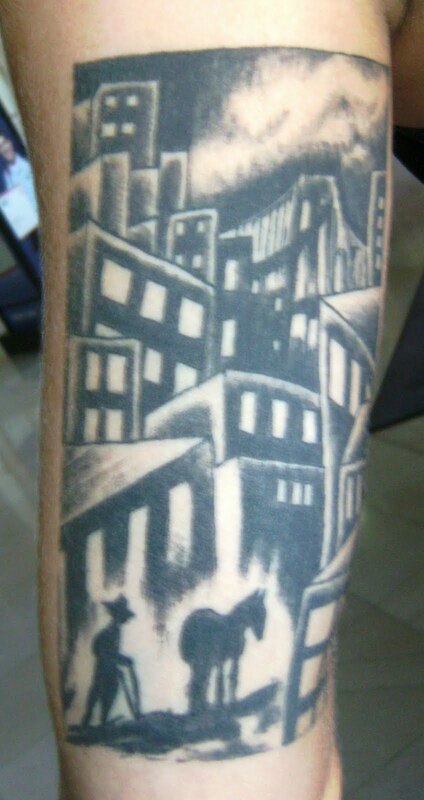 This tattoo, which looks a lot like a woodcut, is a representation of an ink drawing of a farmer in the city which, in turn, was inspired by the Scott Walker song "Farmer in the City (Remembering Pasolini)" from his album Tilt. Rather than exchange wedding bands, Anna and her husband instead got matching tattoos. "Farmer in the City" is their song, and the tattoos are matrimonial bonds that are in their flesh, rather than on their hands. It's quite a lovely idea and reminds me of what our friend Carrie and her husband did (read about it here) after their wedding. 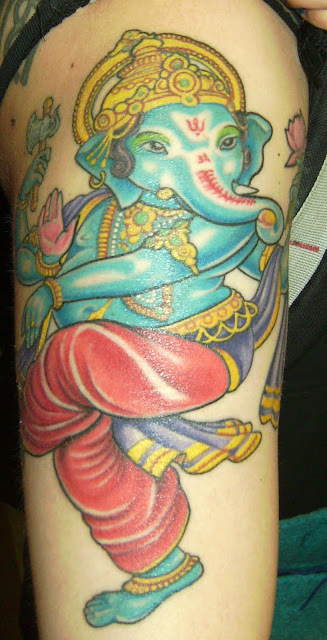 This tattoo was inked by Zee at Studio Zee in New Haven, Connecticut. Thanks to Anna for sharing her matrimonial tattoo with us here on Tattoosday! I met John recently in a local drug store in the Bay Ridge section of Brooklyn. I had actually seen John once previously in the store, but had been unable to speak to him at the time, so I was happy when I ran into him again. His upper right arm is a Star Wars tribute, but I shot the left arm instead. He was laughing because he had just been questioned by several people at a nearby department store and now that he had escaped to a different shop, here I was questioning him about his work. 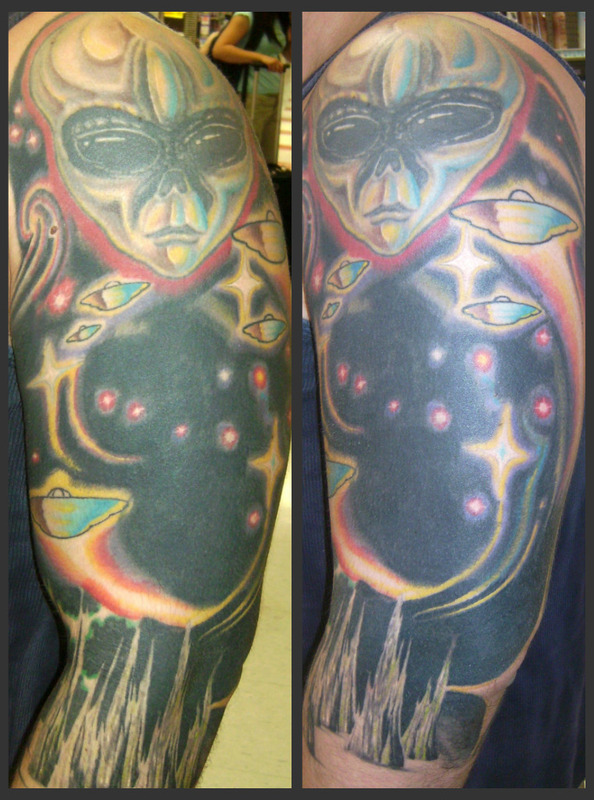 Like the Star Wars theme on his right arm, the left arm embraces outer space, what John called his "tattoo identity". He did note that this had been reworked and represented the repairing of a much smaller piece. He sung high praise to Alex Franklin of Brooklyn Ink, who did the majority of this work and made the piece what it is today. Alex and Brooklyn Ink are no strangers to Tattoosday. 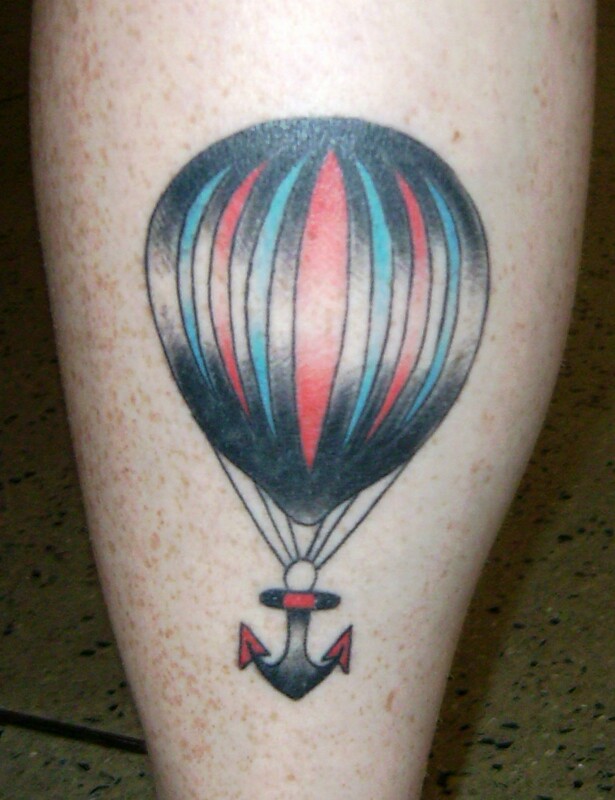 This link takes the reader to all posts tagged "Brooklyn Ink". John loved the graphic novel and the movie as well. 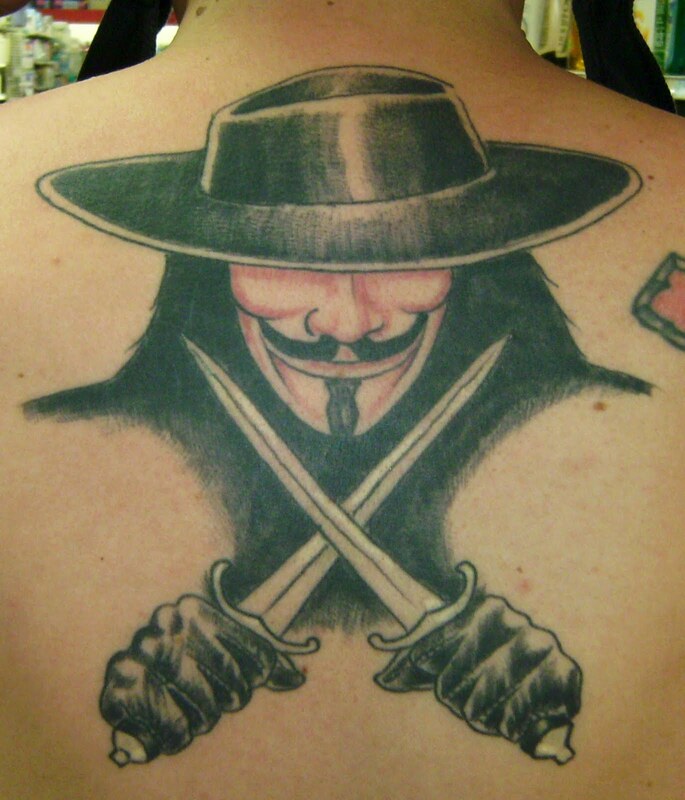 The character of V makes a striking tattoo. 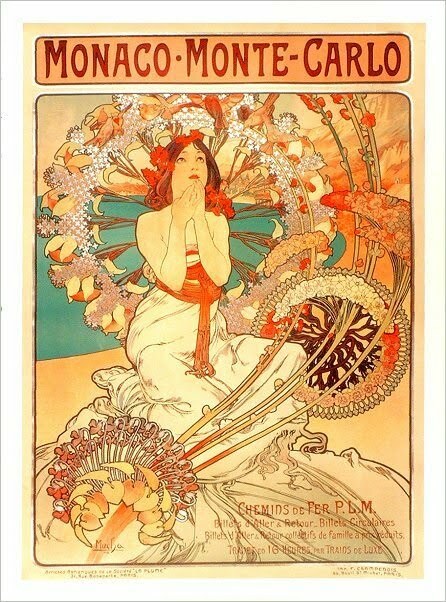 This was inked by the incomparable Designs by Michael Angelo in Bensonhurst, Brooklyn. Work from his shop has appeared previously here on the blog. Thanks to John for sharing his incredible tattoos with us here on Tattoosday! We hope to bring his Star Wars sleeve to the site some time in the future. I stopped Tony and Emily, an Australian couple, as they were crossing 33rd Street near Eighth Avenue late last month. No offense to Tony, but Emily's half-sleeve really jumped out at me from across the street, so I was thrilled when they agreed to stop and talk tattoos with me. Emily explained she wanted a colorful tattoo, and she loves fruit, so this was the path she chose. 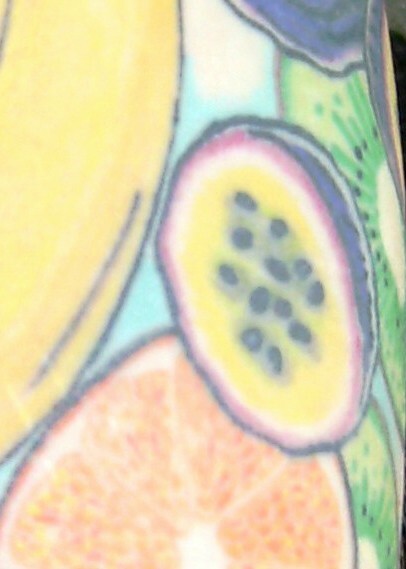 What I like is that, since she is Australian, we get some more exotic fruit here, like dragon fruit and passion fruit in the culinary collage. This is one of seven tattoos Emily has and was inked by Josh Plum at Yakuza Tattoo in Sydney, Australia. 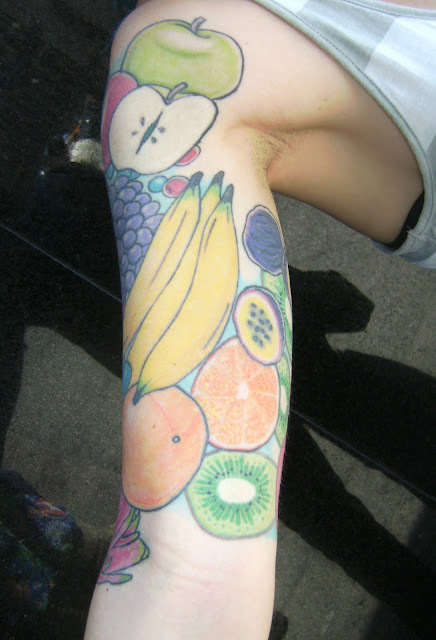 "...She said she wanted fruit for a few other reasons other than colourfullness....1) she is really into nutrition and a healthy living style; 2) she had never seen anybody else with a fruit basket tattoo; 3) fish, flowers, etc. 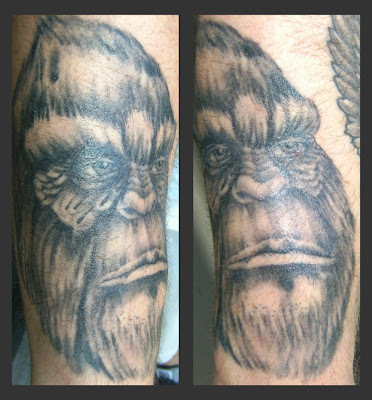 are way too common (which is true when you think about it, everyone has koi fish..."
This tattoo was the artist's rendering of Bigfoot, as interpreted by Sanchez at Steel Lotus Body Arts in Darlinghurst, in Eastern Sydney. Why Bigfoot? Tony is a huge fan of cryptozoology.The tattoo took about four and a half hours to complete. Thanks to both Tony and Emily for taking the time to share their tattoos with us here on Tattoosday!